Are you ready to take your golf game to the next level? Want to attain the perfect swing to hit the ball in the right trajectory? A TaylorMade golf set is what you need. 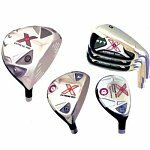 These golf sets come with gold clubs and drivers which are used by the professional golf player and also by the amateurs. Monark Golf provides TaylorMade golf club sets which fit every category, and each category has a great deal of choice. You can also get a set to suit your style and ability. Looking for a perfect place to get the latest golf club clones and TaylorMade golf drivers at a discounted price? Visit the Monark Golf now. You will find all new Heater B-1 Driver with innovative T-Rail Sliding Weights. 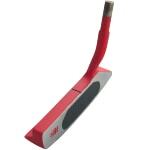 It has two sliding weights in a T-profile which provides you more setting options to personalize your game. There are also the Heater BMT S-550 irons, Heater BMT-3 irons, RSi1 and RSi2 clones that you can buy now at lower prices. Why TaylorMade golf is sets the best? There are 8 or 9 TaylorMade golf drivers that you can choose. Each driver has its different characteristics. Some drivers are created for the professional, but other drivers offered a high degree of forgiveness for the new golf player. TaylorMade irons available in different sets and offer a great degree of versatility. They work great for both the professional and the park players. You must have a TaylorMade rescue club in your golf bag. Traditionally the realm of the low irons, the rescue clubs are nowhere near as hard to use as the irons of old. The rescue clubs with their perfect level of forgiveness, lofts, and draws can get you out from the trouble. Before buying TaylorMade golf set, it is best first to know your budget. Well, now you can grab the TaylorMade golf club sets from Monark Golf while enjoying attractive discounts. All it takes to look at the right place and receive good value for quality golf set. 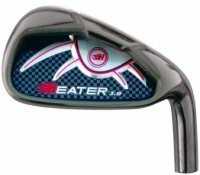 If you are worried about the quality, the brand name is enough to determine the quality of the golf set.